There's nothing like diving into a riveting read or one's favourite magazine for a touch of escapism from the breakneck speed of daily life, right? Creating at least one quiet pocket of tranquility in the home is of vital importance for our wellbeing and I'm a big advocate of setting aside some reading time as the perfect excuse to take at least five minutes away from it all. 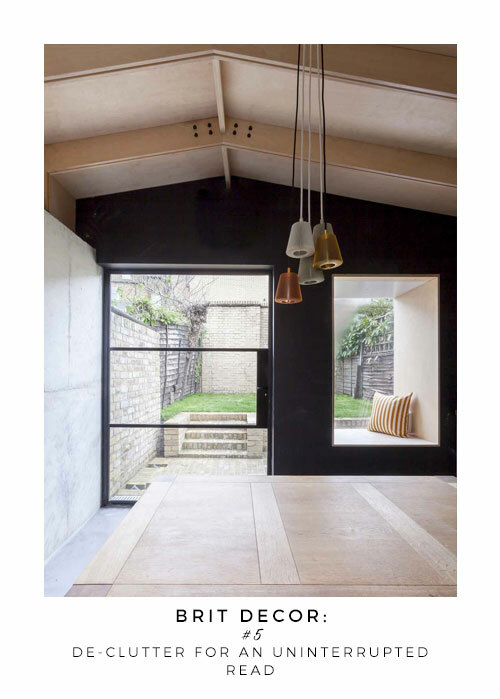 Therefore, I thought it only helpful to explore some style-savvy reading corners with these five inspiring nooks - each one sporting a differing stylistic approach but delivering the same outcome; comfort, style and escape. Number one (below) injects a large dose of cheer-inspiring colour into this reading area-come-daybed, which will instantly place the lucky homeowner in a positive frame of mind before even picking up a book. 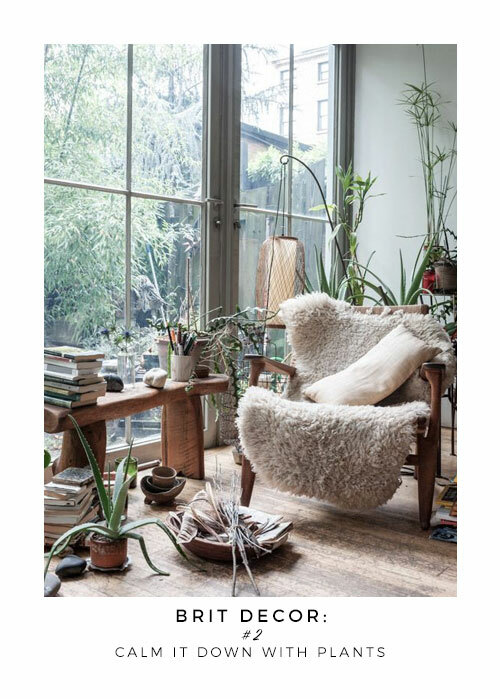 Creating a green indoor oasis by grouping together a selection of houseplants, can have a calming effect (no.2 below) - just add a favourite armchair and you'll have all the ingredients for a perfectly chilled reading experience. 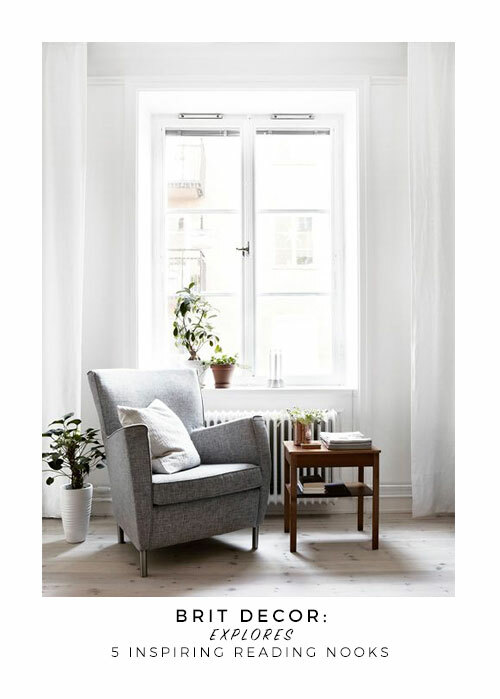 Depending on your day job, being cooped up in an office environment, particularly in the winter, can leave us seriously lacking in vitamin D. Therefore, finding a natural source of light to bask in (no.3 below) can get those creative juices flowing again and this also makes for a clearer read! Number four (below) - having a handy side table at arms length will pay you dividends. 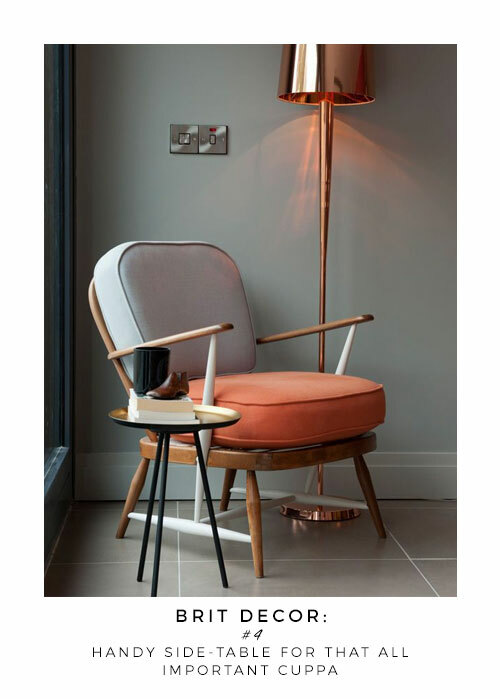 This means you can sit back and relax without having to reach or stretch for that accompanying cuppa or glass of wine, whilst you immerse yourself in a book. Finally, taking the de-cluttered approach to styling your nook can offer a clearer outlook by removing any work or lifestyle distractions - perfect for the window seat in room number 5 'below' - just you, a good book, and a view!